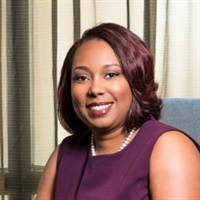 Malika Terry, MBA, CCP is a seasoned total rewards professional with 18+ years of experience in the human resources field. Throughout her career, Malika has worked for both midsized and large scaled companies, driving innovative total rewards programs that attract and retain high quality talent. She received her master’s degree in Business Administration with a major in International Business from Mercer University and her bachelor’s degree in Social Work from The University of Georgia. She is a Certified Compensation Professional and an active member of several Professional Organizations such as WorldatWork, the Society of Human Resources (SHRM), WorldatWork, the Atlanta Area of Compensation Association (AACA), and the Southeast Benefits Education Network (SBEN).